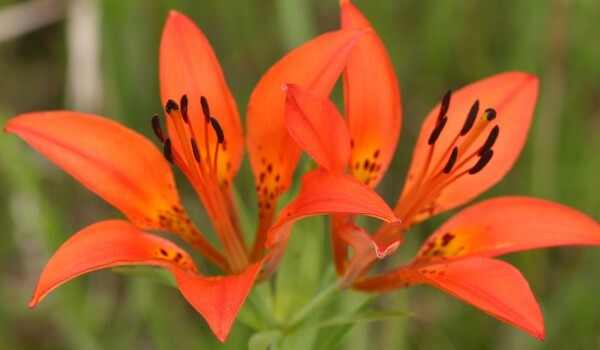 The summer-flowering Western Red Lily is the floral emblem of Saskatchewan. Its appearance varies depending on its local environment. The bulbs are edible, and have been gathered by many indigenous groups for food and medicinal uses. It is pollinated by swallowtail butterflies, but is also visited by hummingbirds. These birds can collect nectar without touching the plant’s reproductive structures. For this reason, they are less effective pollinators than butterflies. Not rare, Listed as “sensitive” in B.C. and “may be at risk” in Saskatchewan. 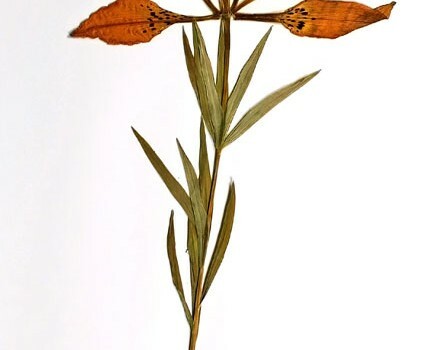 This perennial plant grows to 120 cm tall. Its single, upright stem is covered with a waxy coating. Leaves vary from long and narrow to lance-shaped and occur in 1-5 whorls. 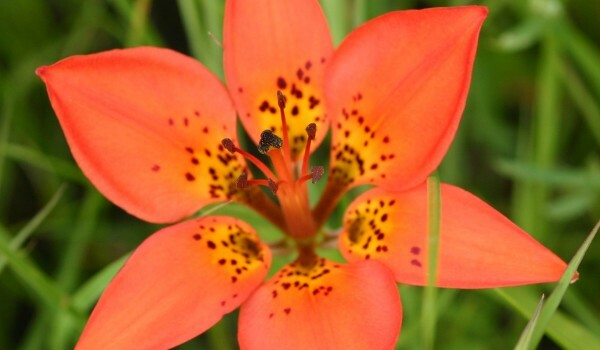 Flowers have six orange to red/orange petals, with purple spotted nectar guides. 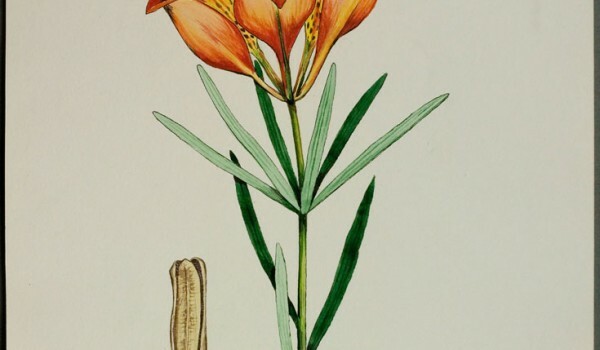 They occur in a cluster of 1-6 flowers at the top of the stem. Fruits are elongated capsules, and the numerous seeds are flat and winged. Seeds and/or plants are often available from greenhouses and seed supply companies specializing in native plants. Because plants die when the food-producing leaves are removed, do not pick these flowers in the wild. They are slow to establish from seeds and attract hummingbirds and swallowtail butterflies.